Looking to find and share some delicious gluten free recipes? 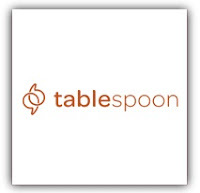 If so, you should check out www.tablespoon.com. It is a new site from General Mills that allows its members (membership is free!) to share recipes! On www.tablespoon.com, you can store and organize recipes in your own virtual recipe box, review and assign stars to recipes that you've tried and post recipes on facebook, twitter, and other social networking sites! In addition to sharing recipes, you can download a variety of great coupons and sign up for a weekly food newsletter! Currently, the website lists 28 Gluten Free Recipes and you can join and make that number more! For those of you that would like to win a "Pass the Inspiration" Prize Pack, please email me at msceliacsays@gmail.com with "Tablespoon Contest" in the subject line and your name, address, and phone number in the body of the email. The contest deadline is Wednesday, November 18th at 12 noon EST. ~Ms. Celiac Says... will start updating on a regular basis soon!